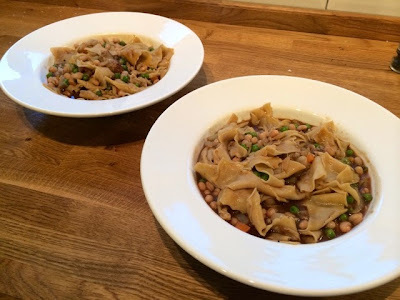 This recipe has been a long time coming on Diary of a Saucepot. 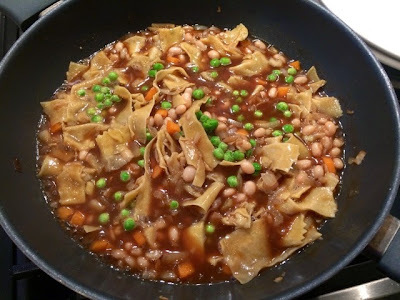 It’s one of those dishes that you begin making at a certain time in your life and adapts, develops and ages with you. The original version came from a long since lost student cookbook. 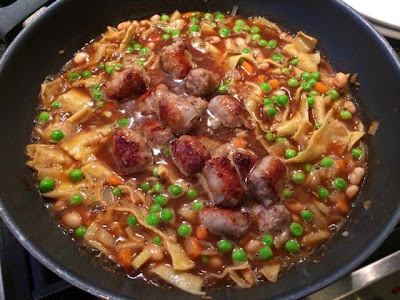 It has matured, grown up in it’s own way and gained a few extra ingredients, as well as the sausages no longer being the cheapest frozen multipack variety I bulk bought in my uni days. 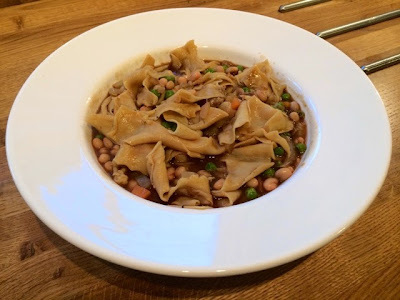 This is such a hearty, homely and comforting dish that can be knocked up in well under half an hour, so it’s perfect for midweek dinners. 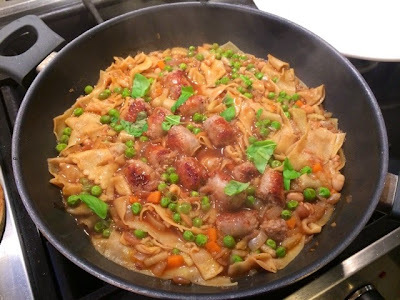 Pasta, sausages, peas and carrots are all family dinner favourites that make it a really kid friendly meal. Back in the day I always used macaroni for this dish, however now I find it’s great for using up pasta odds and ends. You know those half broken strands of spaghetti stuck at the bottom of the packet? Keep them in a jar and after a while you’ll have a little reserve of odd pasta shapes perfect for dishes like this. 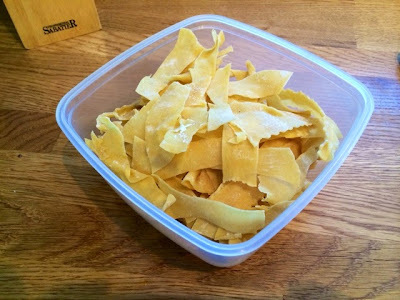 In this case I’d made ravioli a couple if days previously and I kept all the off cuts to use in this soup. 1. 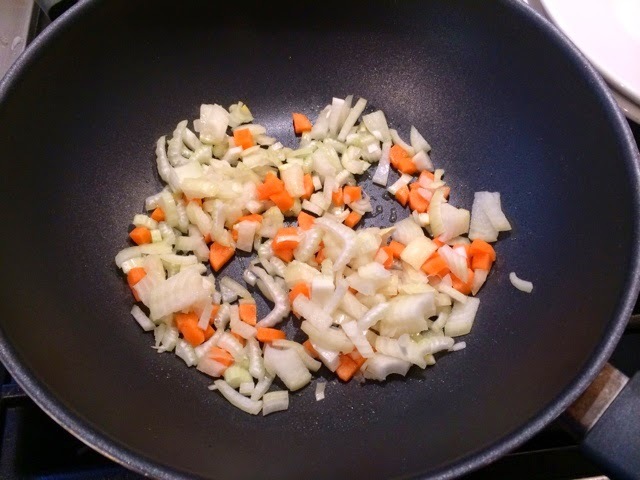 In a large pan on a medium heat gently fry the onion, carrot and celery. 2. 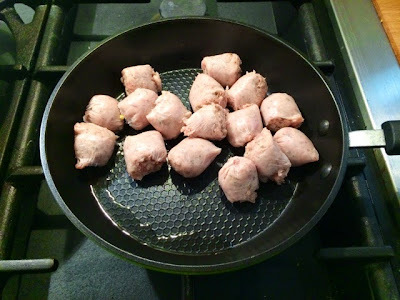 In a separate pan, fry the sausages. 3. 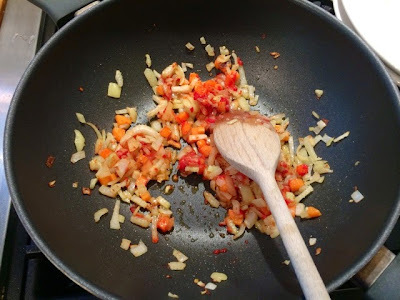 When the vegetables have softened add the garlic and tomato purée. Fry for a further 2-3 minutes. 4. 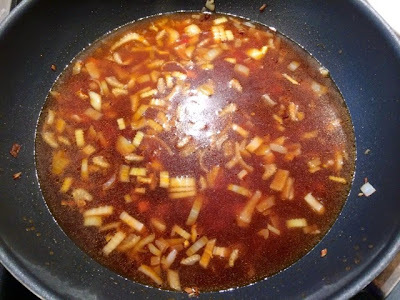 Pour in the stock and add the worcestershire sauce. Bring to the boil. 5. Add the pasta and the frozen peas. Continue to simmer until the pasta is nearly cooked. 6. Add the cooked sausages to the pan. 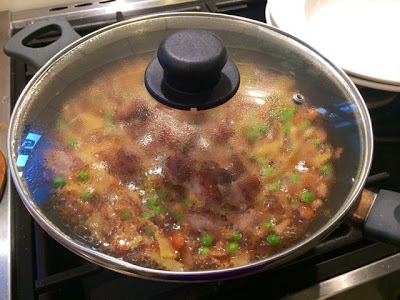 Cover and allow the whole thing to simmer for a further five minutes. 7. Throw in a few torn fresh basil leaves. 8. Dish up and serve with crusty bread for dipping.